PETALING JAYA - CCTV footage of a woman hit by a car and dragged along the street yesterday at Shaftsbury Square, Cyberjaya has gone viral. The video was posted on social media by the Cyberjaya Community Facebook page. The CCTV footage showed the victim running across the street at 7.35pm when the incident occurred. According to a screenshot of a tweet posted on cyberjaya Community Facebook page, the woman was dragged across the street for a few metres and had gone under the suspect's car. The tweet said the suspect who rammed into her was believed to be a Pakistani man who was using a rented car. According to the Cyberjaya Community page, many drivers did not obey traffic rules in Cyberjaya. The woman killed in a hit-and-run accident in Cyberjaya had just celebrated her 31st birthday two weeks ago on Oct 4. Wan Amirah Wan Alias, an assistant manager with Unifi, passed away at Hospital Putrajaya at 5am on Thursday (Oct 18). 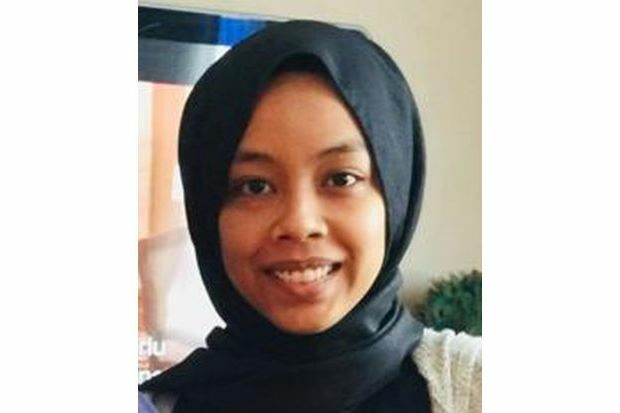 Distraught by Wan Amirah's passing, her aunt Thana Abdullah called for netizens to help locate the suspect. "She was 10 when her mother passed away. She was like a daughter to me," Thana told The Star. Her funeral will be held at Masjid At-Taqwa, Taman Tun Dr Ismail in Kuala Lumpur today (Oct 18).